I prefer to work on exciting and challenging projects (who doesn't?!). My office is in Utrecht, from where I work remotely. From time to time I work on site too (in the Netherlands, some of the projects I did were in Utrecht, Amsterdam, The Hague and Rotterdam). Contact me to have a coffee and talk about your project. 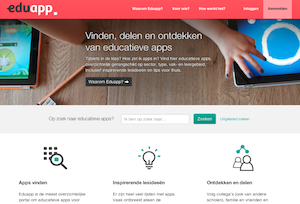 Eduapp is a website that connects apps and education. It makes it easy and fun to discover apps and creative ideas for educational use. I did the technical realization for them in Ruby on Rails. 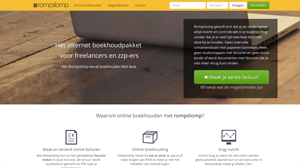 Rompslomp is a simple accounting system with clear graphical overview for starters. I developed it in Ruby on Rails. 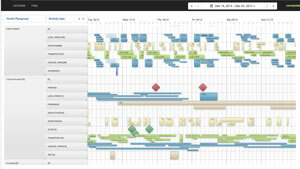 For a fast growing company that's doing short term train transports, I developed a real time planboard. This planboard keeps track of all their transports in real-time. Techniques used are: Ruby on Rails, Ember.js, Coffeescript. Together with the Club van Delft I developed Intelleqtive. 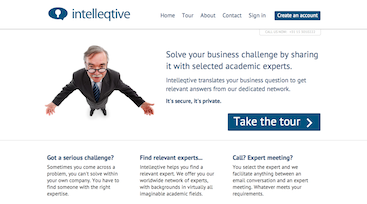 Intelleqtive stimulates innovation by providing a channel for micro knowledge transactions between business and the academic world.